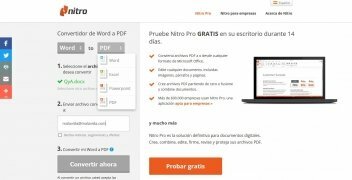 Converting a Word document to PDF online is fast and very useful. 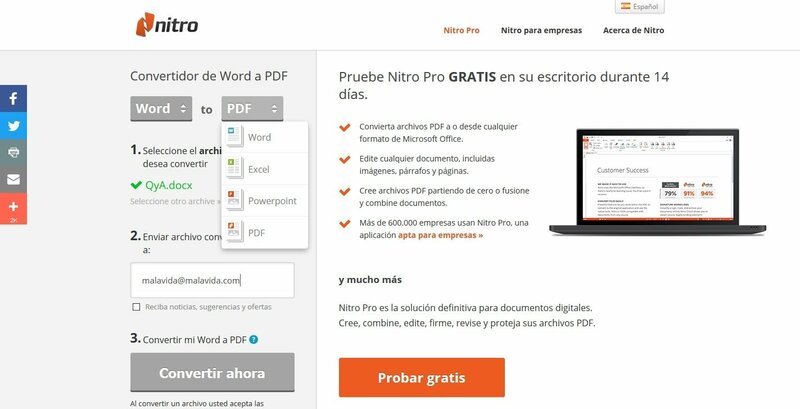 Especially because if you use an online converter for this portable format you can export your Office documents to other systems, such as from Windows to Android, iPhone or Mac, or from Mac to Linux, for instance, without jeopardizing the integrity of your information. 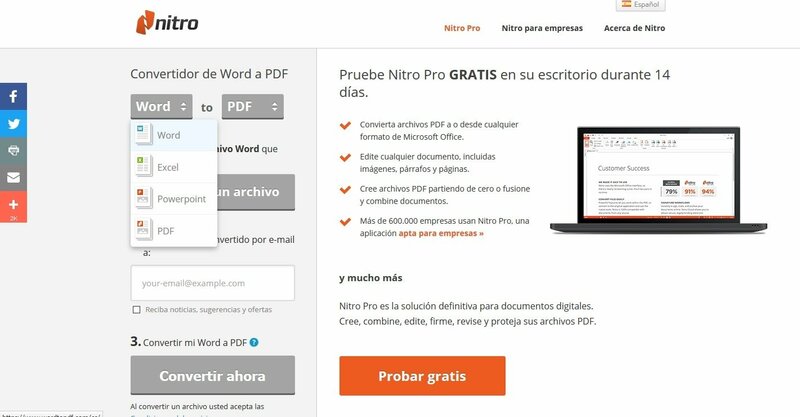 The web application we're talking about is Nitro WordtoPDF Converter, developed by Nitro, in charge of running other programs to open and edit PDFs. 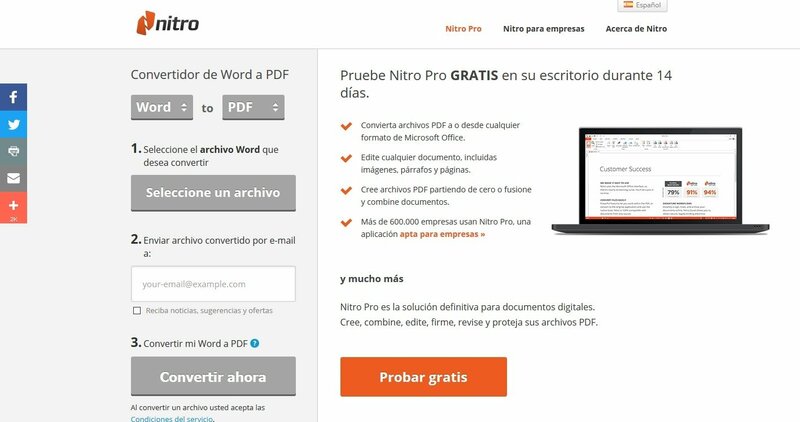 The main advantage is that we can carry out this format conversion without needing to download anything: no EXE files, no APKs, absolutely nothing: everything is done on the web. Step 1: choose the input format (that can be Word, but also Excel, PowerPoint or PDF). Step 2: choose the output format: Word, Excel, PowerPoint or PDF. Step 3: insert the email where you wish to receive the converted file. Step 4: press the Convert Now button. The document will be converted, maintaining its format, links, margins and other aspects. Both applications are very similar and will complete the transformation process very satisfactorily. The most significant difference can be found on their interface since iLovePDF has a few more options to edit documents and doesn't the result by email (you can download it with Dropbox or Google Drive). Apart from the latter, both options are very similar.